Here is another winter care review for you all. Exfoliating is very important in winters as our face tends to get dull and dehydrated sooner. 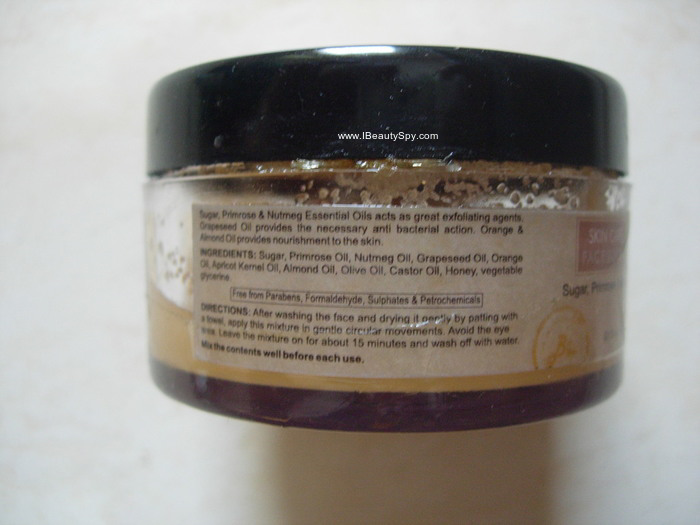 It is good to use an oil-based scrub in this weather which will add moisture back into your skin. I got this BioBloom scrub in one of the subscription boxes and decided to use it for the winters as it is very nourishing. I had posted a #TextureTuesday shot of it on Instagram here and some of you had asked for its review. So here it is. 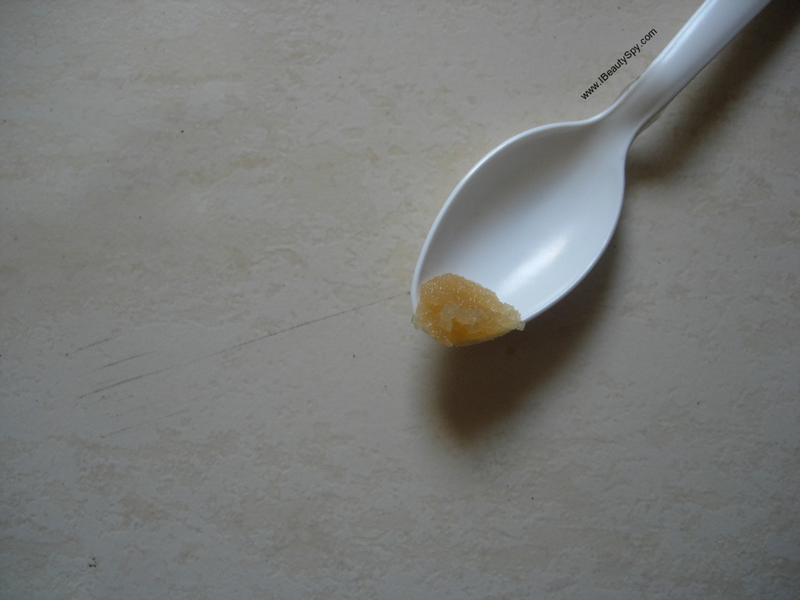 Let’s see in detail how BioBloom Face Scrub Sugar Primrose Nutmeg scrub performs. Biobloom’s Natural Face Scrub suitable for all skin types has Sugar with Primrose & Nutmeg essential oils that act as great exfoliating agents. 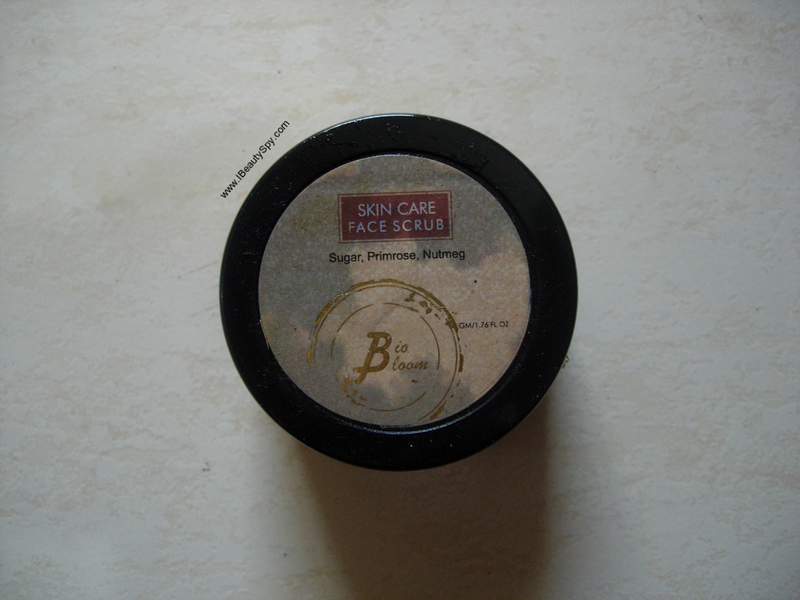 This Paraben Free Face Scrub from Biobloom also has Grapeseed oil that provides anti-bacterial action. Orange & Almond Oils provide nourishment to the skin. BioBloom Face Scrub Sugar Primrose Nutmeg looks caramel brown in color and has a fine granular consistency with an oil base. It has a sweet smell mostly of sugar and orange oil which is mild and not bothering. The texture looks really good like a dessert as you can see in the pic. 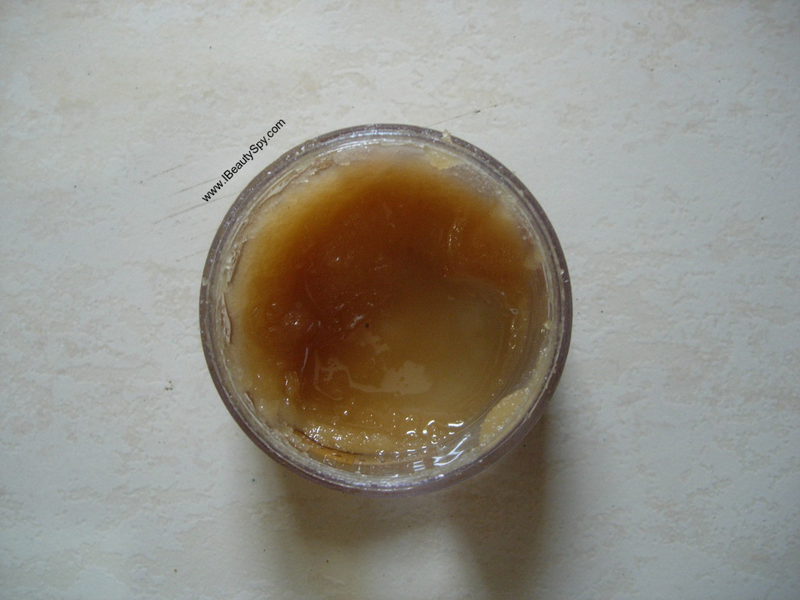 This is a typical oil and sugar scrub. I usually don’t like such scrubs. But this one had finely powdered sugar. Apply only gentle pressure while scrubbing so as to not scratch your skin. Also the mix of oils used in this are very good. Primrose oil, apricot oil and grapeseed oil boost the moisture in your skin without making it oily or clogging pores. BioBloom Face Scrub Sugar Primrose Nutmeg helps to scrub away whiteheads and blackheads effectively. After washing off, your skin will feel smooth and soft like a satin. I used this scrub like 3 times a week in the winters and it helped in preventing dry patches around my lips and nose. Though it contains a lot of oils, it didn’t break me out. * Fine sugar granules consistency. * Boosts and retains moisture in skin. * Skin feels like satin. Smooth and soft. * Prevents dry patches from occurring in winters. * Good blend of oils which doesn’t clog pores. * Pricey for a sugar-oil scrub. * Not a vegan product. Contains honey. Only if you get in on heavy discount or you get it in a subscription box. 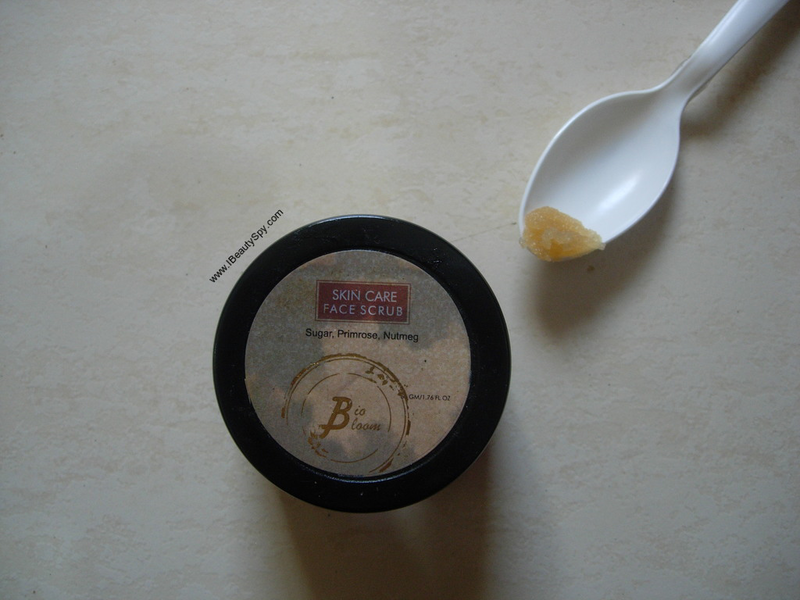 BioBloom Face Scrub Sugar Primrose Nutmeg worked well for me. The quality is really good. It was effective in combating dryness in winters. But I feel its too pricey for a sugar-oil scrub. I can easily DIY it if I have these oils with me. I used it only ‘coz I got it in a subscription box. I wouldn’t recommend purchasing this for the price point. If you get it in a subscription box, its definitely good. Or else you get on a good discount. Or you are not a DIY kinda person and prefer readymade quality ones. That’s my views on BioBloom Face Scrub Sugar Primrose Nutmeg. Hope you found this review helpful. I will be back soon with another one. See ya! Take care! Love the detailed review. It is way too pricey..The ingredients are amazing though.